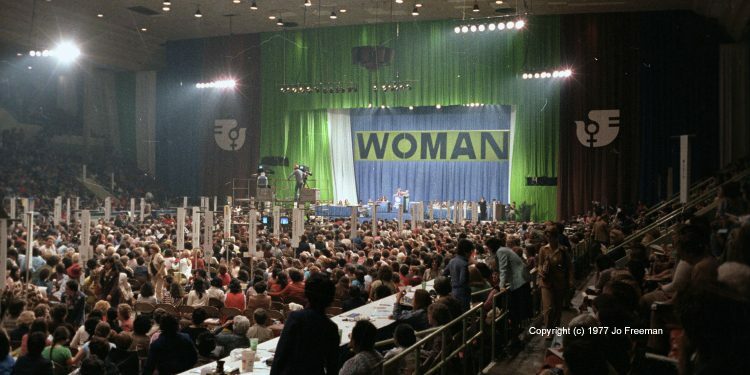 Forty years ago over 20,000 people gathered in Houston, Texas to celebrate International Women's Year (IWY) and identify goals for women for the next decade. The actual 40th anniversary dates for that historic conference are Nov. 18-21, 2017. 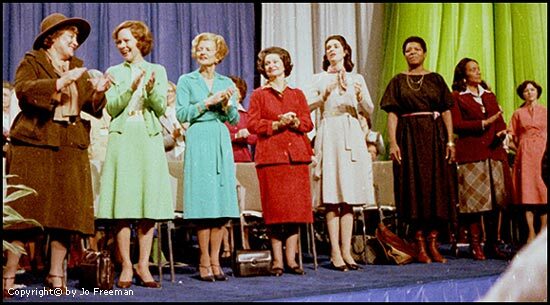 This was the first and only national women's conference to be sponsored by the federal government. It was preceded by state conferences to elect official delegates who would vote on a national plan of action in Houston. On November 6 and 7, 2017, a few hundred people gathered at the University of Houston to celebrate the 40th anniversary of that conference. It was not sponsored by the federal government, though some would argue that today's federal government made it necessary. Organized primarily by UH professors Nancy Beck Young and Leandra Zarnow, the conference brought many of those who had attended the 1977 conference back to Houston. They were pinned with blue bows so today's feminist activists could easily identify them. Speakers discussed what happened in 1977, what didn't happen, what should have happened, and what it all meant. The original impetus came from the United Nations, which declared 1975 to be International Women’s Year (IWY). President Ford created a commission for its observance early that year, chaired by Jill Ruckelshaus. Cong. Bella Abzug (D - NY) then sponsored a bill to hold a national conference, which Ford signed into law at the end of 1975. Congress appropriated five million dollars to fund the state and national conferences. By the time it was held on November 18-21, 1977 neither Ford nor Abzug was in office, both having lost their 1976 campaigns. President Jimmy Carter appointed Abzug to head the IWY Commission. The 1977 conference was very political. The most controversial issues were abortion, sexual orientation, and the Equal Rights Amendment. While the 2017 anniversary conference was not political, the name most frequently mentioned was that of someone who was not even a delegate to the original conference: Phyllis Schlafley. Indeed, Bella Abzug ran a poor second in mentions and Ruckelshaus was barely mentioned.